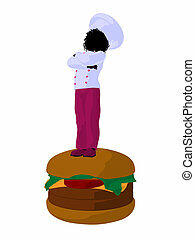 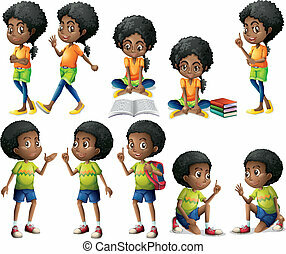 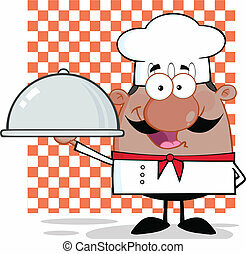 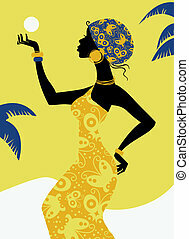 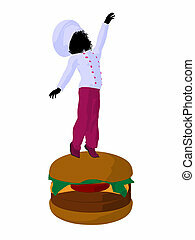 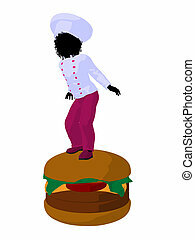 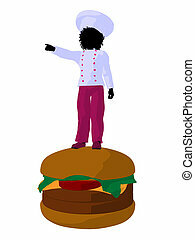 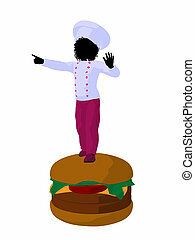 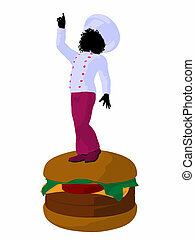 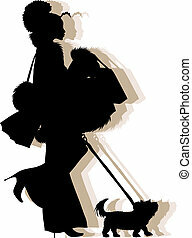 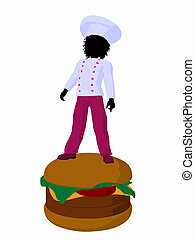 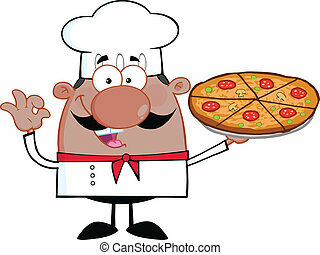 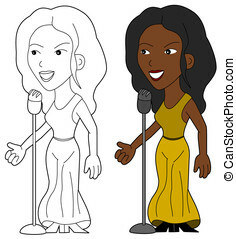 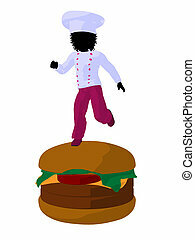 African american girl chef silhouette illustration. 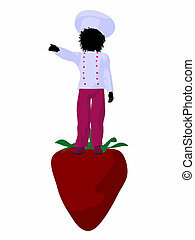 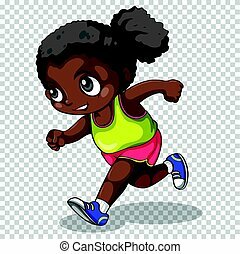 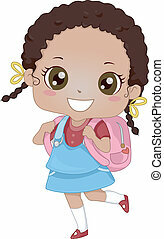 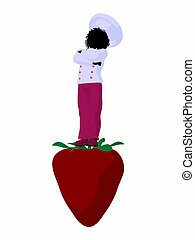 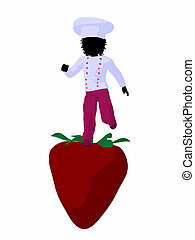 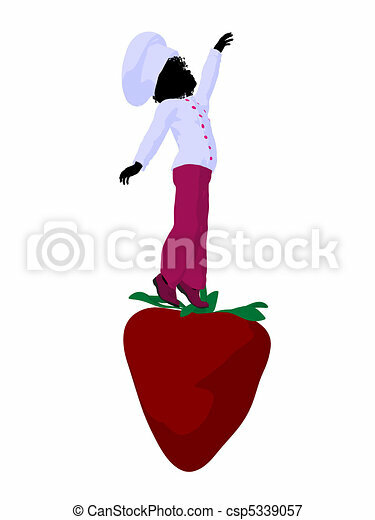 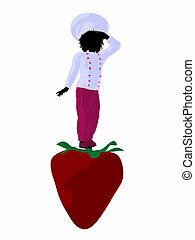 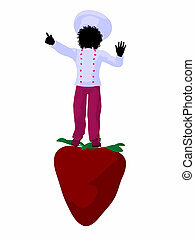 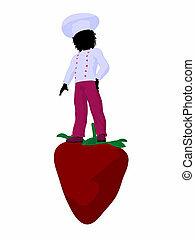 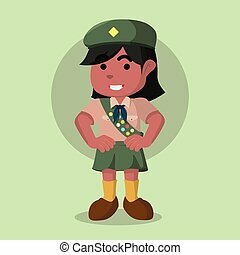 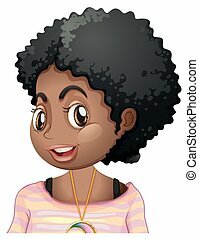 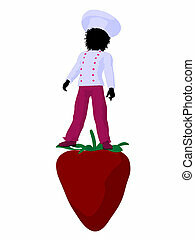 African american girl chef with strawberry illustration silhouette on a white background. 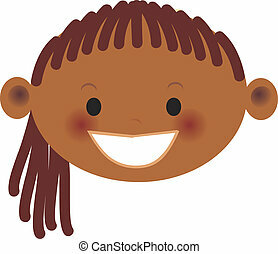 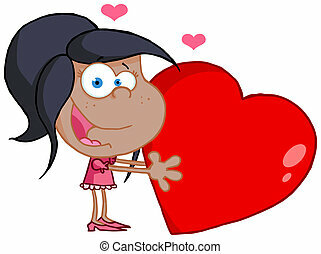 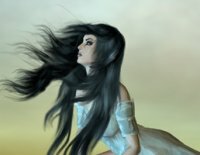 A beautiful African-american girl with love on her mind. 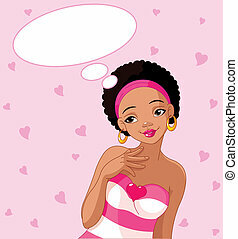 Insert your own text into the empty thought bubble.